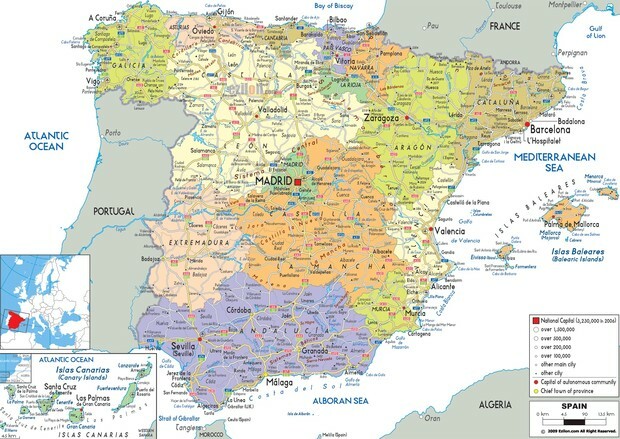 People native to Spain refer to it as "España", and the capital of Spain is Madrid. 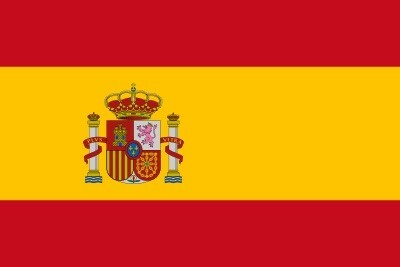 Spain's flag is known as, "La Rojigualda". It's colors consist of red and yellow. Red represents hardiness, bravery, and strength, and yellow symbolizes generosity. Spain's population is 47.27 million people. Spain's' government is a Constitutional Monarchy. The leader of Spain's government is Mariano Rajoy Brey. 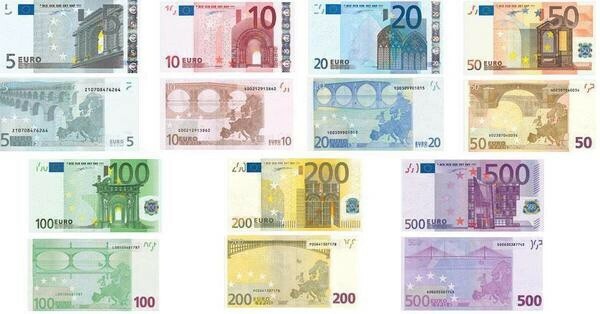 Spain's currency is euros. The exchange rate is 0.89 euros to 1 US dollar. Spain's La Siesta is one of the most well know customs. Everyday people take time of work near lunch to eat and relax. Even some business close down for a few hours. Another custom is bullfighting. Fútbal, or soccer is a very important part of Spanish culture. People of all ages know and love the sport, and support their favorite team from the regular season to tournaments and the World Cup. 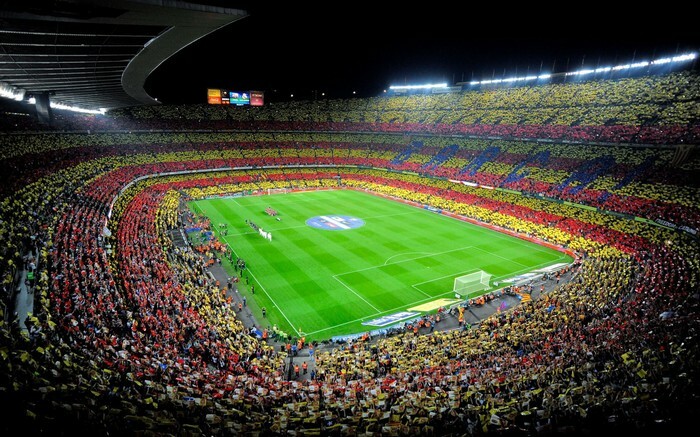 As Spain's largest fútbal stadium, Camp Nuo is a major tourist attraction located in Barcelona. FC Barcelona, a famous fútbal team, has the luxury of having this grand stadium as their own. 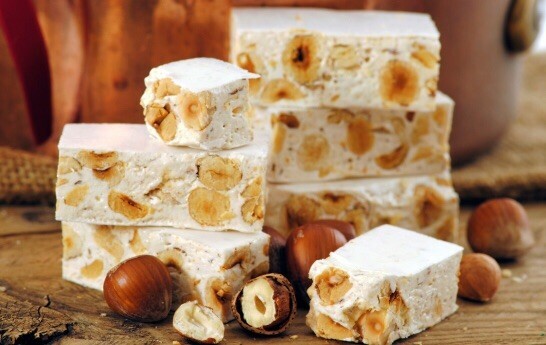 Fan of fútbal or not, watching a game will definitely be worth it in our opinion. The San Fermín festival includes El Encierro, or the Running of the Bulls. 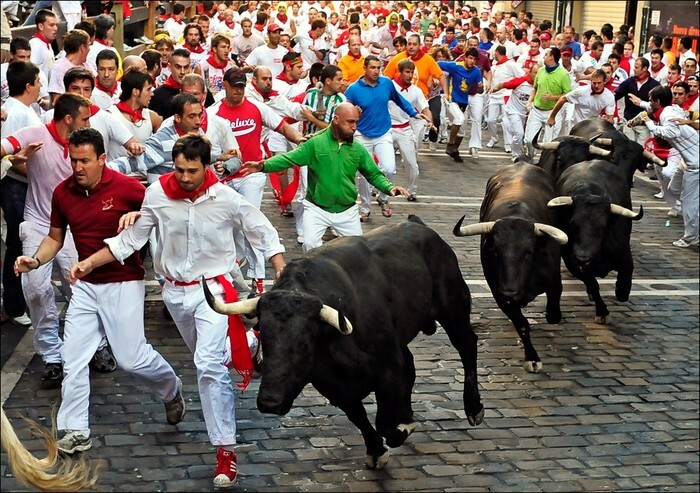 This activity involves bulls being released in the city streets to chase people. This is an important part of Spanish culture and it would be interesting to see in person. 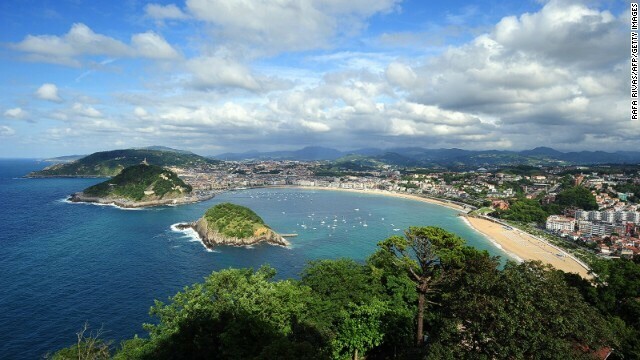 Located in San Sebastián, La Cocha is known as one of Europe's best beaches. Enjoy surfing, sight seeing, and eating at unique restaurants. 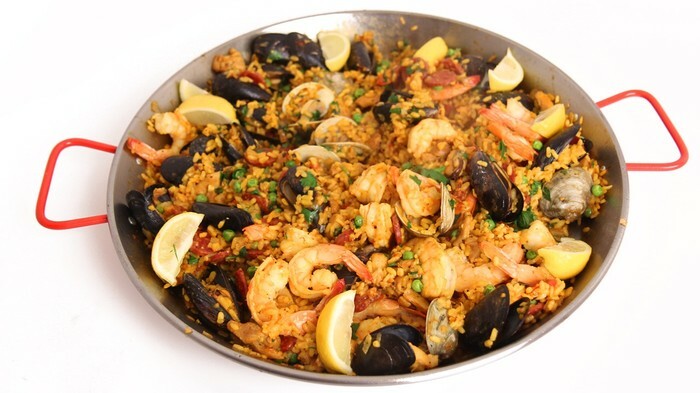 This destination is a major tourist attraction, and it would be a great part of any vacation to Spain.